In England at the end of the English Civil Wars, groups of Seekers who had rejected all the available religious options of the day began to meet together in silence to await a new revelation from God. These Seekers soon became part of the emerging Quaker movement. An experience of spiritual transformation turned their lives upside down and in response they found themselves travelling “in all countries, places, islands and nations,” turning the world upside-down as they went. Today, in the face of a gathering ecological crisis whose effects have not yet turned our world upside down, do we sense a call to become seekers of a new spiritual revolution, the recipients of a new revelation from God that will transform our relationship with each other and with all living things? What might this look like? I want to argue that it will require a fundamental transformation in consciousness, a paradigm shift comparable in scope to that of the Copernican revolution. We must leave behind our Ptolemaic consciousness and spirituality and accept the Copernican challenge. In Ptolemaic cosmology, the Earth was regarded as the centre of the universe, with the Sun and other planets revolving around it. Copernicus undermined this understanding by demonstrating that the Sun was the centre of the universe and the Earth and other planets revolved around it. As a species, humanity seems predisposed to Ptolemaic consciousness. Individually and collectively we experience ourselves as the centre of all existence; we feel that all things revolve around us and exist to serve our needs (from a biblical perspective, this is a key aspect of the fallen state). A Copernican spiritual consciousness, which can be found in many of the world’s religious traditions, undermines this view by decentering humanity and forcing us to accept that we are but one part of the complex and interrelated whole we call creation. Copernican spirituality enables us to recognise that God (the eternal spirit) is the centre of existence and that our place within it is determined by our relationship to God. “…the order established by God that exists in every part of creation, transcending the chaos that seems so often prevalent. It is the right relationship of every part of creation, however small, to every other part and to the creator. Gospel order is the harmony and order which God established at the moment of creation, and which enables the individual aspects of creation to achieve that quality of being which God intended from the start, about which God could say “it was very good”. A Copernican spiritual revolution would turn the world upside-down. It would overturn many of our most firmly-held assumptions and deep-seated prejudices. We would no longer see ourselves as the central and most significant entities in the cosmos because we would have witnessed a new vision of creation as a complex and interrelated whole and been given a new understanding of our place within this system. We would know experientially that the eternal spirit we call God is at the centre of existence and that every living thing has an essential role and fundamental value within creation. We would accept our limitations and fallibility and recognise that our belief that there is a technological fix for every problem is a dangerous fallacy. Instead, we would be content to humbly accept our place within the order of creation. We would realise that individualism is merely a delusion that blinds us to the essentially interdependent and interconnected nature of existence. This would enable us to begin to build a strong and compassionate community, not just with other humans but with all other living things. We would reject all forms of dualistic thinking because we would have witnessed and tasted the essential unity of all things. In particular, we would have seen that the spiritual and the material exist in a dynamic relationship of mutual interaction. This would enable us to realise that things are not awful and need to be put right, but are good and that our task is to come into harmony with this goodness. Finally, it should go without saying that our happiness and the value of our lives would no longer be determined or measured by what we own and what we consume. Instead, we would find a simple joy in our relationship with God and in the community of creation. This would be a spiritual revolution: of relationship, in which we would move from a state of separation to one of unity; of healing, in which we would move from a state of illness to one of health; and of learning, in which we would move from a state of ignorance to one of understanding. Do we hear the call, and are we willing to join this spiritual revolution? 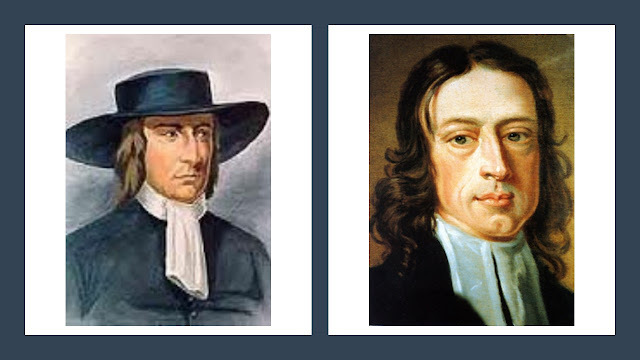 Wilson, Lloyd Lee (1996) Essays on the Quaker Vision of Gospel Order (Quaker Press FGC). Thank you Maria, most kind!